How to Fix No Messages and Notification Problem in Whatsapp ? 1 How to Fix No Messages and Notification Problem in Whatsapp ? 1.1 How to Fix Late Whatsapp Messages Notification Problem ? 1.1.1 Solution For Whatsapp messages Notification problem . Do you have Notification problem in whatsapp ? and Do you receive whatsapp mesages late ? if yes then you are at right place . Today we are here with a guide on how to fix Delay messages problem in whatsapp . Whatsapp is the largest social messaging app used worldwide . 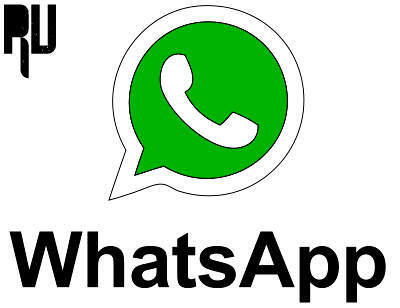 recently whastapp officials released a report in which they said that now whatsapp has crossed 1 billion user base . The best part about whatsapp is that it is available for almost every OS , But also there is a bitter truth of whatsapp that many users are facing late messages delivery problem in whatsapp . Some reported that they get messages only when they open whatsapp . So today we are here with a solution of Whatsapp notifications problem . Use 2 Whatsapp Accounts on Same android Phone without root . 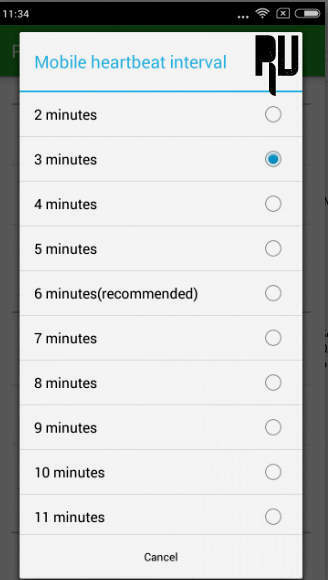 How to Fix Late Whatsapp Messages Notification Problem ? Sometimes users install third party task managers to get more ram space , The moment when they kill all tasks whatsapp also gets closed . And that’s why they don’t receive whatsapp messages on time and until they open whatsapp . So the solution to this problem is :- just add whatsapp in exception list in your task manager . Now a days android smartphone’s come with Force Stop feature which not only increase the speed of smartphone but also make a big effect on the battery life . So when you press the home or menu button and force stop all apps the whatsapp application also gets force stopped . Here is How to fix that :- Just drag down the whatsapp application and lock it from Force stopping . How to Mirror Cast your android smartphone Without using any usb device . Solution For Whatsapp messages Notification problem . First of all Download Push Notification App From Playstore. Let the App Install . After installing Open the Push Notification Fixer App . Now After opening the App you will see many options . 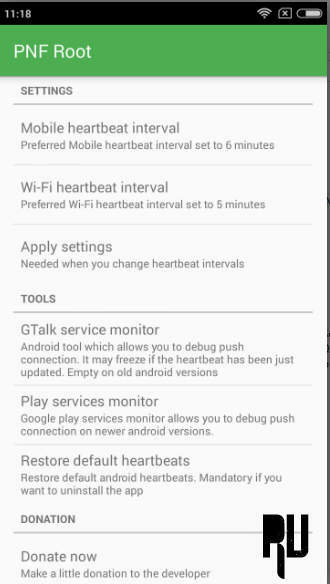 Mobile heartbeat interval and set it to 3 Minutes . 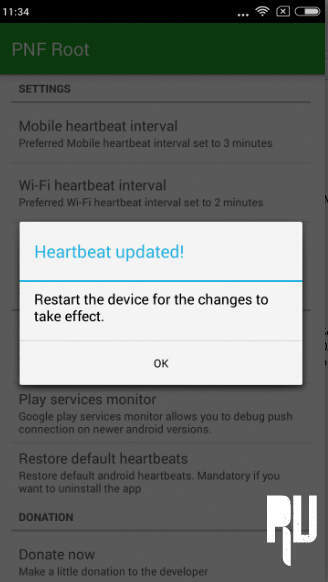 Then choose Wi-fi Heartbeat interval and set it to 2 Minutes . After doing both the above steps tap on apply settings . Now just make a reboot of the device to make the changes take effect . And that’s all !!! you have successfully solved the no notification problem in whatsapp without root . So this was our guide on how to solve no messages notification problem in whatsapp .